SAMTIAN is a factory majoring in manufacturing Photographic equipment. We have professional research & development department, injection molding department, production department and QC department, devoted to providing best product and best service. 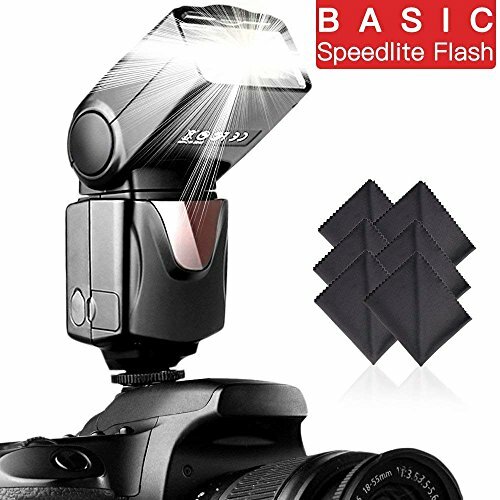 SAMTIAN High performance speedlite flash: This electronic flash only take 2.8 seconds to quickly recycle to full flash and the flash frequency is almost 7 times commpared to common camera flash. Perfect multiple word mode: The speedlite comes with 8 levels of power output control and 3 different flash mode( M mode, S1 mode, S2 mode). Vertical Rotation Angle: 0-90 degrees. Horizontal Rotation Angle: 0-270 degrees. Compatible with all standard hot shoe mount DSLR Cameras: NIKON: D3000, D5000, D3100, D5100, D7000, D50, D60, D70, D70S, D80, D90, D200, D300, D300S, D700, D3S, D3X, D4, D600, D800; For Canon: 1100D, 400D, 450D, 500D, 600D, 50D, 60D, 7D, 5D, 5DII, 5DIII, 6D, 650D, 700D, 30D, 40D; For Pentax: K-7, K-X, K20D, K10D, D200D, K100D; For Olympus: E3, E5, E30, E300, E620, E520, E420, E450, E-P2, E-PL2, E-PL1. What you get: 1* flash Speedlite +1* flash stand with tripod mount +6*soft microfiber cleaning cloth +1* Manual. 90-day warranty and 24-hour friendly customer service. If you have any problem about this speedlite flash, please contact us and we will give you the best solution.